Officers from the Royal Solomon Islands Police Force (RSIPF) have successfully worked with Australian authorities on a joint investigation which has resulted in the seizure of suspected cocaine on a yacht in Honiara. Although forensic work is currently ongoing, it is assessed this is a large commercial shipment of cocaine of several hundred kilograms. The joint investigation involved the RSIPF, the Australian Federal Police (AFP), Australian Criminal Intelligence Commission (ACIC), NSW Police Force (NSWPF) and Australian Border Force (ABF). 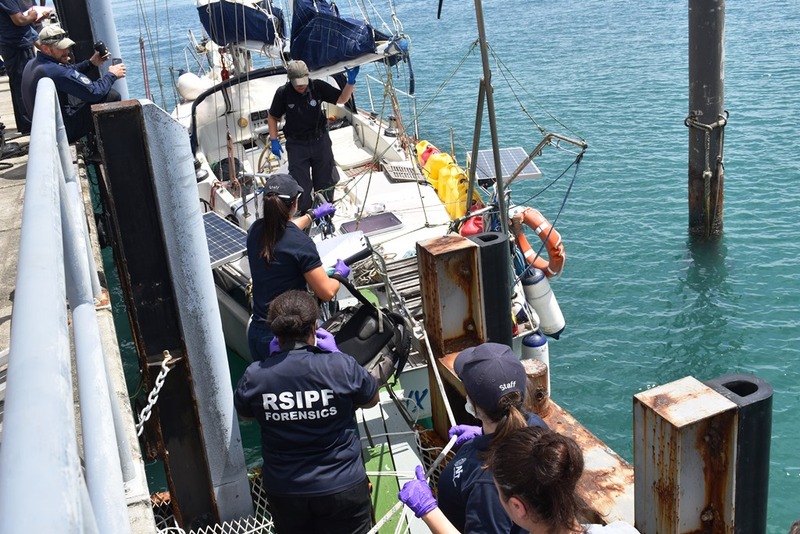 RSIPF officers boarded the Vieux Malin – a double-masted yacht– yesterday morning outside the Honiara marina after receiving information from Australian authorities. The cocaine was concealed in a cavity behind a false wall panel in the interior of the yacht. It will be alleged that the cocaine was loaded onto the yacht in South America and sailed to Honiara. The alleged organisers in Australia were making arrangements to bring the yacht to Australia just before it was searched by the RSIPF. Australian authorities have been conducting their own concurrent operations in Australia and will make their own announcements tomorrow. RSIPF Commissioner Matthew Varley said the seizure marked the end of a long-running investigation in Australia and Solomon Islands. “This is the largest seizure of cocaine in Solomon Islands history, and I need to congratulate all of the RSIPF members who participated in this operation,” Commissioner Varley said. The RSIPF is further asking for anyone in Honiara who may have seen or met the crew of the vessel or have any knowledge of the vessel at all, to come forward with any information they may have by contacting the National Criminal Investigations Department (NCID) at Rove Headquarters.